TEAM CANADA ARRIVES IN OULU! How exciting this is for our growing Air Guitar Canada organization that there should be 4 competitors from our country who will make their mark at the 21st Air Guitar World Championships. Joining our 2016 Champion Blake ‘The Canadian Tuxedo’ Johnston, will be Helene ‘Hey!len’ Laurin from Quebec (she’s our two-time Quebec champion), Bob ‘Mr. Bob’ Wagner (lifted by the generosity of over 60 people who helped fund his dream of competing in Finland for his 73rd birthday), and lastly Carlos ‘Hanzel the Manzel’ Mengual (2015 Toronto Champ and Air Guitar Canada representative). On Thursday Aug. 25th, Hey!len, Mr. Bob and Hanzel will take to the small stage at the 45 Special for the DARK HORSE COMPETITION. We’re not sure yet how many are entered or how many are getting through, but you can expect that they will take between 5-8 competitors to the World Championships the next day. We’re hoping that all three of our Dark Horse competitors make it through. If Bob makes it through – he will officially become the oldest air guitarist to ever perform on the world’s stage. There will be a link for the live broadcast of the World Championships. We will post that link on our facebook page. Freakin’ tickled to welcome The Edge 102.1′s Adam Ricard back for his second year of Air Guitar jury action. Adam judged for the first time last year and reported to have lost his mind. The competitors are promising to mess him up again in 2016. Using the antiquated figure skating scoring system of 4.0 to 6.0, Adam will be throwing down the scores for our largest ever field of competitors. Huge thanks to Adam for Year 2, for his on-air plugs, and ongoing badassery on the Edge. He’s the man to listen to on your ride home. Penetanguishene, Ontario to Host Their First Offical Air Guitar Championships! This coming weekend we get the party started in cottage country. Saturday, June 25th at the Maple Valley Sports Club, history will be made as we crown the first ever ‘official’ Penetanguishene Air Guitar Champion. 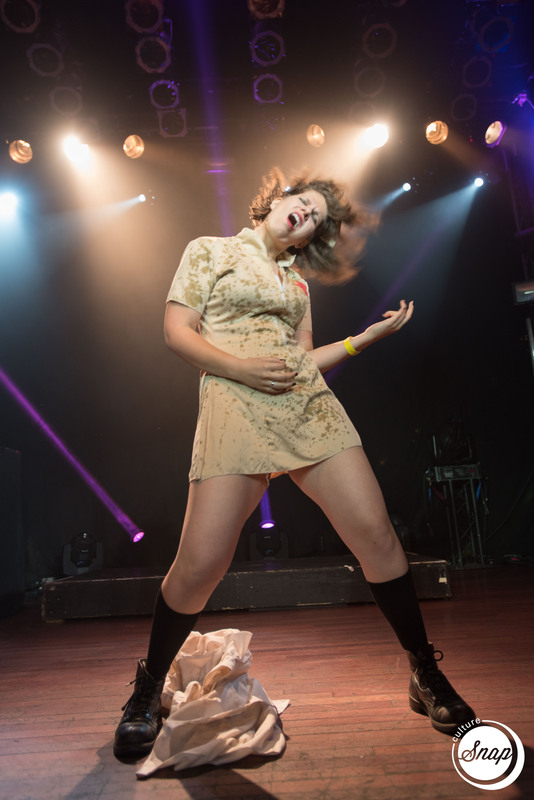 Brave hopefuls and relatively bold half-hammered others will take the stage and give us their best 1-minute of Air Guitar for the chance to travel to Toronto for the Canadian Championships on July16th. And if they win in Toronto, the winner will fly to Finland for the 21st Air Guitar World Championships. Over the next few days we will be putting up some tasty bits of information to get the people of Penetang, Midland, and all of Simcoe County pumped for the good times to come on Saturday. I can guarantee that Air Guitar Canada and Maple Valley Comedy will deliver the most ridiculous and fun event of the summer. You will want to bring everyone you care about to witness whatever this is. Rock 95 is on board. Midland Film Company is too. We have some killer judges to make the hard decisions… so now we need you. This is for real. We have a few videos to stoke your fires and rev up your seadoos. Both feature local hero James ‘Thrustin Beaver’ Dalzell doing what he does best. The best part – other than it is fuelled by Steam Whistle beer, is that the benefits of the event go to Right To Play Canada – helping kids facing war, famine, and poverty through sport and play programs. It’s like a 10K charity run for goofs. So in doing something so dumb… we do something so good. ‘When you are holding an Air Guitar, You can’t be holding a gun’ – Ancient Air Guitar Proverb. Friends Of Good Times And Good Causes – WE SALUTE YOU! Banger Bingo has been with us since our re-birth in 2014. We found each other on the internet. It started as a conversation about each other’s gigs. As you know, we put on Air Guitar competitions for charity. Banger Bingo puts on rock and roll bingo parties for a living. Because they dig us (feeling is mutual) and out of the goodness of their own hearts they flew themselves out to Toronto to perform for our first National Championships and their amazing support and generosity just keeps on flowing. They’ve entertained Air Guitar Canada audiences in Toronto, Calgary, Edmonton, Medicine Hat, Saskatoon and coming up this weekend – Red Deer Alberta for the first-ever ‘official’ Air Guitar Championships. It is now the third season that they have lent a hand to helping us bring some joy, make some money for charity and send a winner to Finland for the World Championships. They put on a great show. It’s like bingo with Gene Simmons or Vince Neil circa 1987 as the host. There are prizes, costumes, inflatable guitars, good times had by all. So head over to Fratters Saturday night for 106.7 The Drive’s Air Guitar Red Deer Championships and kick off your weekend right. Banger Bingo will get you warmed up at 8pm, and then the Air Guitar will follow shortly after. Last chance to buy advanced tickets. Our Montreal Champ – Helene ‘Hey!Len’ Laurin spent a little time on Montreal TV the other day, talking Air Guitar and her academic thesis about women’s representations in world of Air Guitar. Have a look/listen. Note… the show is in french… so practice up those French skills. Canada is a bilingual country after-all. And so it begins. Our Canadian Champ – Jay ‘THRUST’ McNeely takes to the stage tonight for the 20th Air Guitar Championships in his quest to bring Canada the first place finish and make Air Guitar history. You can tune in around 1pm EST time – while on your lunch break, or heck… skip work and gather up the kids to watch it all go down. Jason is on 14th in the running order. A great spot. Sandwiched between the two time US champ ‘AIRistotle’ and current Japanese Champ ‘Jun Jun’. It’s going to be insane. Last night there was the Dark Horse competition… probably one of the best nights in Air Guitar… you could smell the fear, the ambition, the desperation. Canada had the duty of sitting on the judging panel and we feel pretty good about the folks that made it through. Notable omissions from those moving on were U.S. competitors – The Marquis, and Lt. Facemelter. Who both received 5.7 and 5.9 respectively from us.